When you’ve got a good thing going, sometimes you need to talk about it. And here at Chesapeake Vein Center and MedSpa, we’ve got a great thing going with Dr. Surya Challa! Not only is he an expert surgeon, but he’s also known for his compassion and dedication to service. That’s why we want to take an opportunity to highlight the exceptional work of the man behind the vein center and medspa. 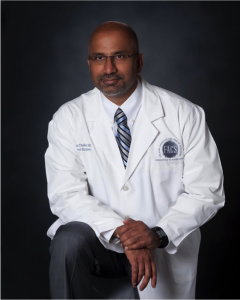 Board-certified in general surgery, Dr. Challa was included in the 2004-2005 “Guide to America’s Top Surgeons.” We could go on and on about his credentials, but you can check them out for yourself on our About Us page. We’d rather talk about his skill and the types of procedures he performs. In addition to Dr. Challa’s vast expertise in the surgical field, he also performs cosmetic and vein treatments for hundreds of satisfied patients every year. The decision to get surgery can be a difficult one, unless you have a surgeon like Dr. Challa with both compassion and technical expertise. To learn more about surgery in Chesapeake and Virginia Beach, schedule your consultation by calling 757.663.5461.